Han Digital is all about Talent. We work with clients to build Talent Strategies with Implementation and ownership. Our insights help leaders make better decisions on finding and hiring talent. Han Digital is India’s foremost provider of IT-BPM talent intelligence. We help our clients understand the Information Technologies’ Talent Landscape. We offer customized solutions in Talent Fulfillment across all levels of maturity. Our clients include the biggest names in the technology space. We foster an environment of continuous knowledge sharing. This enables us to push beyond the latest market trends and practices. Han Digital is a talent consulting and fulfillment company. Established in 2003, we have grown from 10 to more than 130 employees. In our journey over the last 13 years, we have positioned India as the global destination for IT talent. We experimented with alternate delivery models for talent fulfillment and made them successful. Our success has given us referral businesses. It has helped us fill over 20,000 positions since 2003. We have also published reports for over 700 skills. Our vision is to become “the talent partner of choice” to every client whom we work with. To provide our clients with customized solutions in talent fulfillment across all levels of maturity. We help with questions related to Talent with qualitative insights. What is the market for a specific skill? Who are the leading players in a technology area? When – by when can I hire 600 new candidates? Where are the candidates available for a specific skill? Why should you look at a particular city to set up a base? How much salary should I offer for a particular skill? Saran is the Founder and CEO of Han Digital Group. He oversees the strategic direction of HD group in its journey to become the best of breed Talent consulting and Market Research organization. He advises more than 100 clients on varied Human capital related issues pertaining to resource availability, scaling, job family and role classification based pay parity. He is an active fellow member of various industry bodies. Saran holds a Bachelor’s degree in Chemical Engineering from the University of Madras and B-School Graduate. 9 year experienced finance professional with a history of leading financial and HR strategies to facilitate, manage and achieve ambitious growth targets. His forte lies in his experience in interacting with multicultural leadership in highly matrix organization structures. 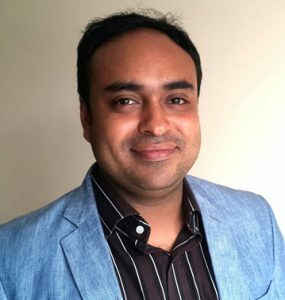 Jayaram brings to the table strong analytical and problem-solving skills; ability to analyze data, understand trends and develop recommendations for action based on the analysis. He has a successful track record in his ability to streamline complex processes and implement workflows designed to increase efficiency. Pranab effectively contributes in Market entry and expansion strategies, account mining, M&A and human capital for Han Digital clients. 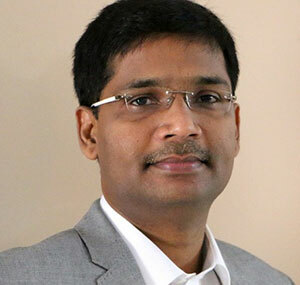 He has 10+ years of consulting expertise of working in multiple verticals in projects like Benchmarking Studies, Talent Pool Analysis- India and Global, Operations Benchmarking. 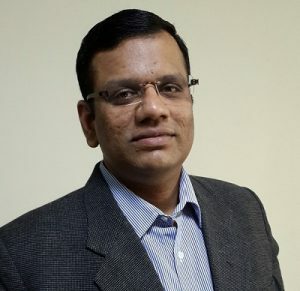 He holds a Masters in Computer Application degree from VIT and SQAM from IISC, Bangalore along with Six Sigma Green belt certification, KPMG. His CIISA certification and SPC (Statistical Process Control) from STQC helped in audit and quality control. Leela brings in about 10 years of market research & HR consulting experience and offers her clients complete intelligence in relation to market trends in the talent space. She has successfully executed several talent fulfillment strategies and implemented with fortune customers across the globe. 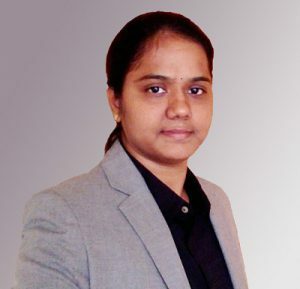 She holds a Bachelor of Engineering degree from Anna University and Successfully completed Dale Carnegie Leadership and Management Excellence Program.